For those near the central coast of California, don't pass up a chance to visit the eclectic Bonny Doon Vineyard. This Santa Cruz winery features a wide selection of wines and labels that serve as pieces of art. Bonny Doon has also incorporated screw caps on all bottles and uses Biodynamic production. The Dewn Club is a wine club that brings great savings to its members. All club members can enjoy free wine tastings for themselves and one guest. They also get free corkage on a bottle of wine at the Cellar Door restaurant. The vineyard features wine tastings from Wednesday to Sunday weekly. Tasting hours are from noon to five. 2000 Le Cigare Volant: Experience a blend of 29% Grenache, 32% Mourvèdre, 28% Syrah and 1% Viognier in this great wine. At $48 a bottle, you get big taste and structure. This wine has hints of Griottes, licorice, anise and beet root along with subtle smoked meat and dark earth notes. 2003 Old Telegram: This wine is priced at $50 and features a blend of 100% Mourvèdre. It has notes of fruit liqueur, kirsch, blackberry, smoked meats, saddle leather as well as a large depth of flavor. 2010 Clos de Gilroy: This wine costs $18 a bottle and is a blend of 75% Grenache, 13% Cinsault and 12% Syrah. It has notes of raspberry, strawberry, pepper and herbs. 2008 Vino Rosso: This wine costs $9.50 and is a blend of 72% Dolcetto, 14% Nebbiolo and 14% Syrah. It is a great wine at an affordable price and will tempt you with hints of fruits such as raspberries, plums, and peaches. You can also purchase mixed packs of wine, such as the Cigare Family Three-Pack priced at $89. It includes two table wines and one dessert wine. Bonny Doon Vineyard is located at 328 Ingalls Street, Santa Cruz, CA 95060. They can be reached by calling 888-819-6789 or by emailing orders@bonnydoonvineyard.com. 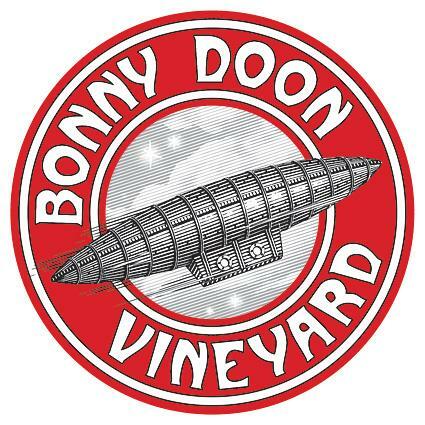 Bonny Doon is also on Facebook and Twitter.